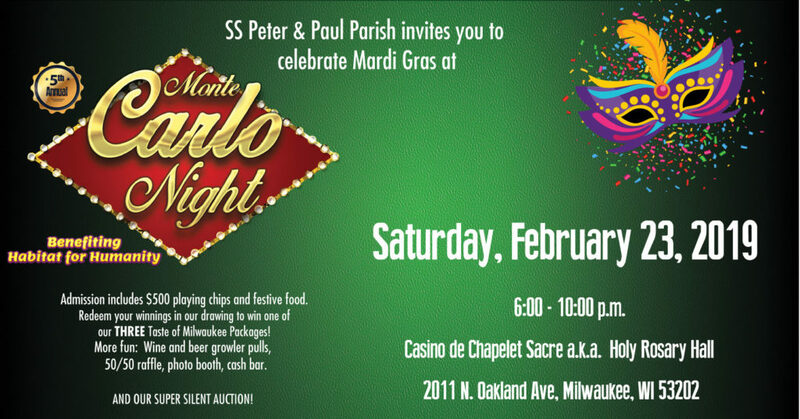 Experience Mardi Gras revelry and a fantastic buffet at our 5th Annual Monte Carlo Night, as you enjoy playing blackjack, craps, roulette, and Texas Hold’em! Enjoy the elegance of Monte Carlo and the vibe of the Big Easy, as you support Habitat for Humanity at Casino de Chapelet Sacre. New this year is Paperless Entry, no tickets are being sold at church. Walk-ins welcome on the night of the event!